nutrahoof is a natural hoof supplement, which is specifically formulated for horses with weak, cracked and brittle hooves. It contains very high levels Biotin and other natural ingredients to improve elasticity and hoof growth. Guaranteed label claim - nutrahoof is manufactured in the UK to pharmaceutical grade standards and tested for the purity of ingredients at the raw material stage and the final completed product stage to guarantee the stated label claim, purity and product quality. Highest quality ingredients - nutrahoof only contains the highest quality natural ingredients. All raw materials are both ethical and sustainable. nutrahoof does not contain any animal derived ingredients. 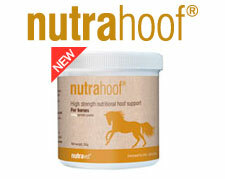 High strength formula - nutrahoof provides a novel and natural alternative for equine hoof care by providing a unique high strength formula to support horses hooves. Exclusive to Veterinary Practices - nutrahoof is only available from Authorised Veterinary Practices. Best value for money - On the face of it many supplements can appear good value however, many are very low in strength. 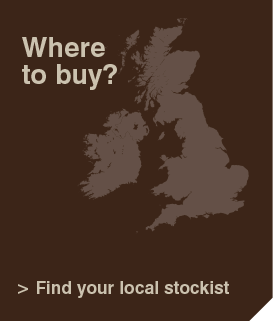 nutrahoof provides a high strength product for your horse whilst delivering the most affordable price. Biotin - Biotin is a Vitamin B coenzyme involved in two major keratinisation processes within the epidermal cells of the hoof. Keratinisation is vital for hoof elasticity and high tensile strength. Biotin supplemented at supra-optimal levels produces a +15% higher midline growth, which results in the faster growing out of lesions. If a horse requires Biotin it is recommended they stay on it for life to maintain improved hoof condition. Vitamin E - Vitamin E is a vitamin which helps slow cellular aging. Vitamin E is a potent antioxidant that aids the hoof’s own natural anti-inflammatory processes. Zinc - Zinc helps to prevent the destruction of keratin and is involved in the health and integrity of the hoof. Studies on groups of horses with poor hoof horn quality have shown lower Zinc blood and hoof levels than those horses with normal feet. This may be due to individual Zinc absorption, metabolism, or retention abnormalities. Echinacea purpurea - A traditional herb also known as the Purple Cone Flower has been used for centuries to aid immunity. Echinacea also has significant antioxidant properties which aid a horses natural anti-inflammatory processes. Methionine - Methionine is an important amino acid and a source of sulphur that is an important building block of healthy connective tissues, such as collagen and keratin. Guaranteed label claim and purity – to maximise efficacy. Pharmaceutical grade ingredients – tested at the raw material stage and final completed product stage. Manufactured to GMP (Good Manufacturing Practice) standards. Ethical and sustainably sourced ingredients – we do not compromise on quality. nutravet do not use any animal derivatives, we only use the highest quality plant and marine ingredients.